A leopard cannot change it’s spots, nor a zebra it’s stripes, but why would they want to in this cute pram suit? Back by popular demand & lots of email requests! With cotton ribbed cuffs to wrists & ankles. 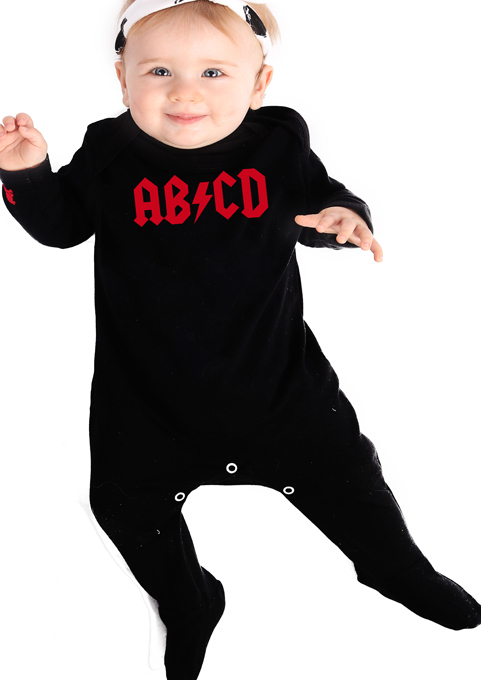 If your baby is a rock star in training, you are going to love our rock n roll AB/CD baby grow, back in black baby! 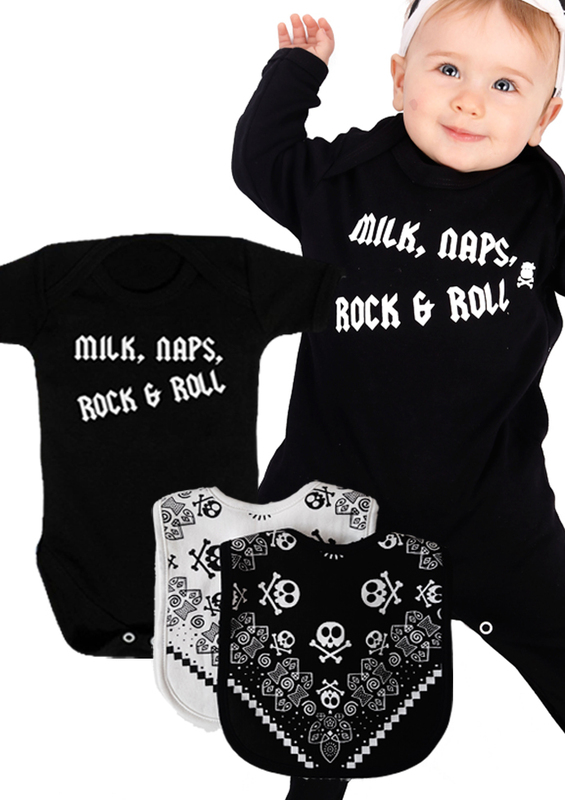 Black cotton rock n roll baby vest. 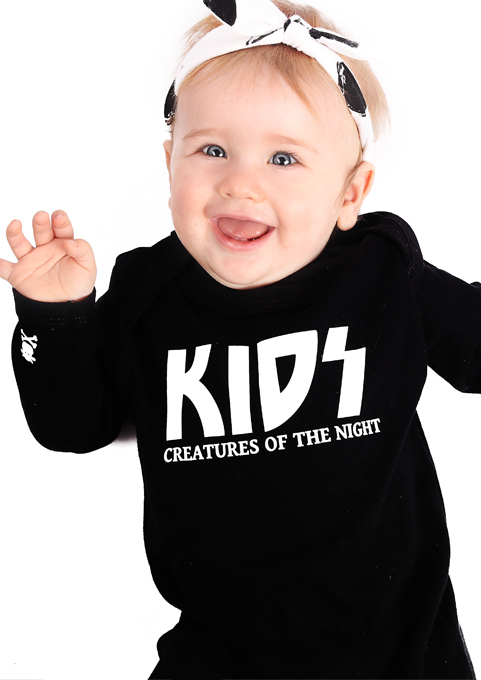 Short sleeve bodysuit will keep baby rockin’ & rollin’. Features rock band inspired print across chest. The vibrant red print reads AB/CD in a fade proof print that looks great wash after wash. 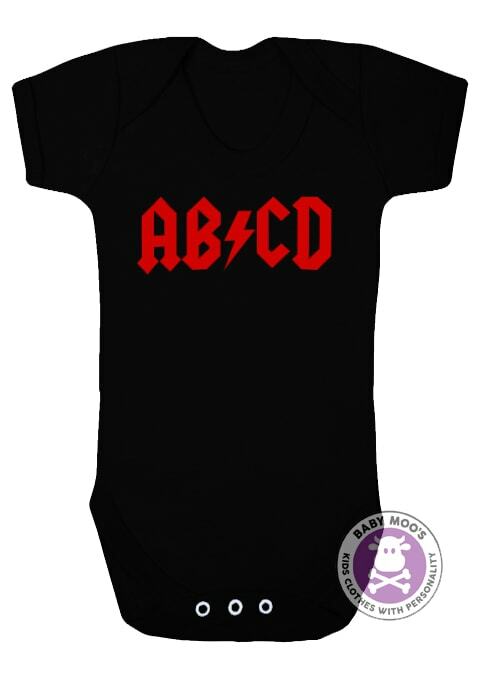 This cool AB/CD baby grow features an envelope neck and a 3-popper crotch so you can have your little one dressed and ready to rock in seconds. 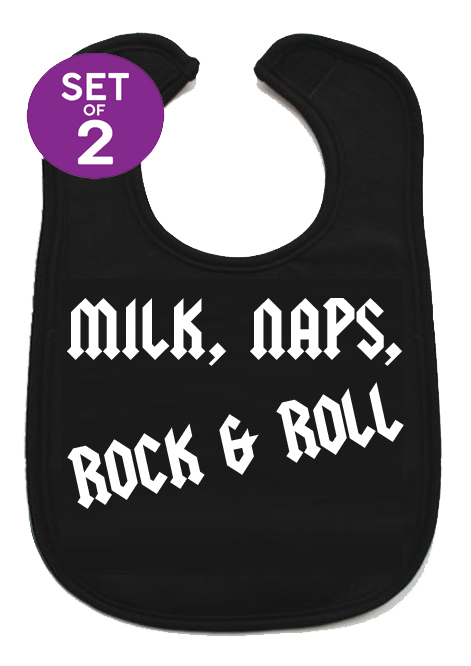 Add some cool baby bibs & give the most rockin’ baby shower gift! Also available in a trendy kids hoodie or sleepsuit. 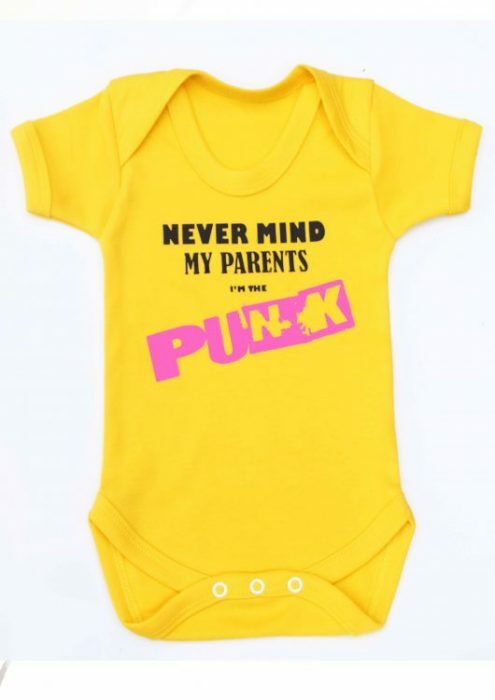 This punk baby outfit is the perfect addition to their clobber, whether you’re after a cute baby outfit with headband or a outfit with whole lotta punk , this’ll tick all the boxes! 3 piece alternative baby outfit, includes baby grow & baby skirt with headband to match. Vibrant pink baby grow with cute punk heart print all over. Cool punk skull applique to front. Tulle overlay baby skirt with cute bow to finish. Sizes 0-3 months, 3-6 months, 6-9 months, 9-12 months, 12-18 months & 18-24 months. This tattoo baby grow guarantees to instantly add a little old style tattoo style to your cool kid’s clothing collection, your baby will want to coo along with you singing yo-ho-ho and a bottle of…. milk!? Soft white cotton to keep your baby happy & comfy. Trendy ‘LOVE MILK’ traditional tattoo style print to chest. Poppers to inner legs & envelope neckline for easy changing of your little one. Made in the UK for supreme quality wash after wash. Available in sizes 0-3, 3-6 or 6-12 months. 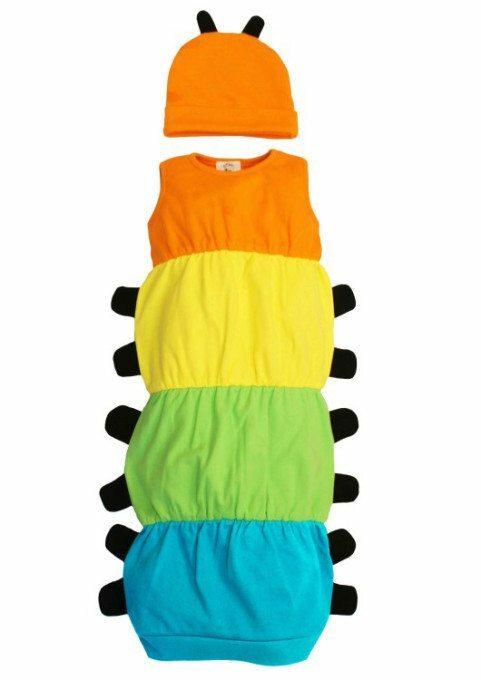 Looking for adorable caterpillar baby clothes? 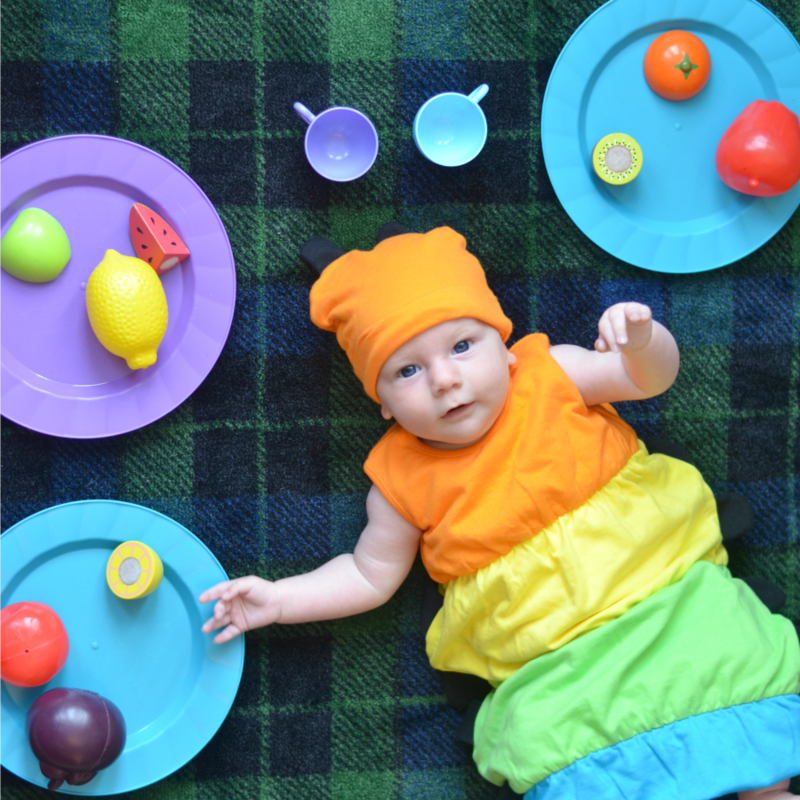 Dress your baby in this unisex caterpillar baby outfit whilst they find their butterfly wings, they’ll enjoy the bright colours & you’ll enjoy the caterpillar cuddles! Bright rainbow stripes cotton outer. Fully lined with luscious soft cotton. Full length & open bottom bundler gown design makes changing baby easy & quick. Cute matching hat with adorable antennae features. Unique & quirky little caterpillar leg details to sides. 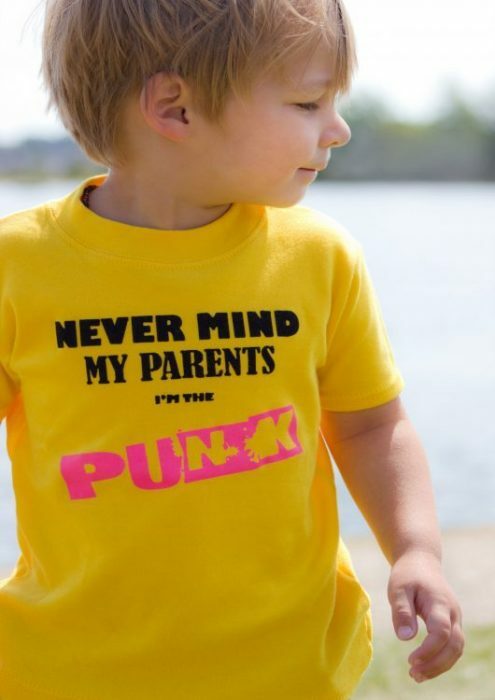 The bright colours make it perfect for baby boys & girls. Award winning quirky bandana bibs. 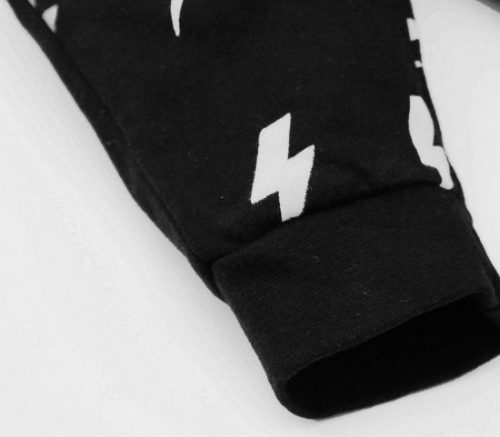 Charcoal & funky blue star jersey cotton front absorbs dribble . Luxuriously soft fleece back that almsot magically keeps baby’s clothes dry & clean. Double popper fastenings which allows 3 size settings to select from when your baby grows into a toddler. If your a fan panda baby clothes, they’ll be no panda-monium due when you see this cute panda baby all in one romper! Funky footless panda baby romper outfit. Hood with novelty ears, panda eyes & nose, which is bound to raise a few smiles. Sturdy poppers to inner legs, zipper to front. Panda baby onesie makes a great baby gift for baby boys & girls. The design of this awesome baby girls rockabilly dress means when it’s been outgrown as a dress it can still be worn as a tunic style top, super cute! Cute red bow feature, ’cause every girl likes bows, right? 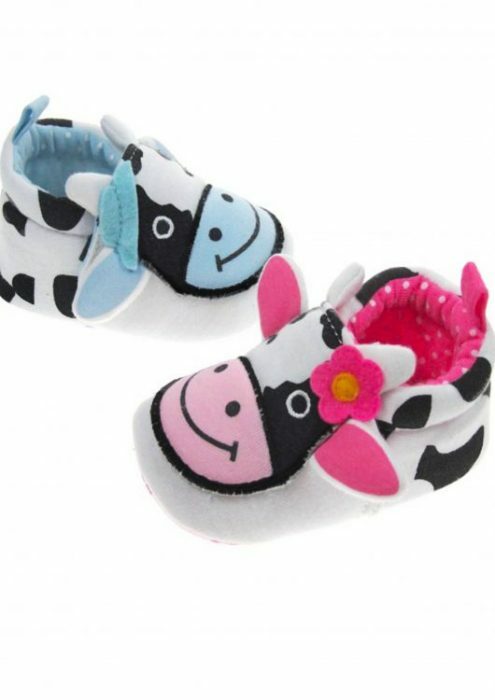 Irresistibly cute cow baby shoes that make a moo-velous new baby gift for any cow loving new parent & their calfling. Adorable cow face with ears & little horns to the front of these cute baby shoes. Slip on style for easy on & elasticated back to help them stay on. Sizes to fit approx 0-3 months, 3-6 months, 6-12 months. Team up with our cow dribble bib or cow all in one for a moo-tastic little look! 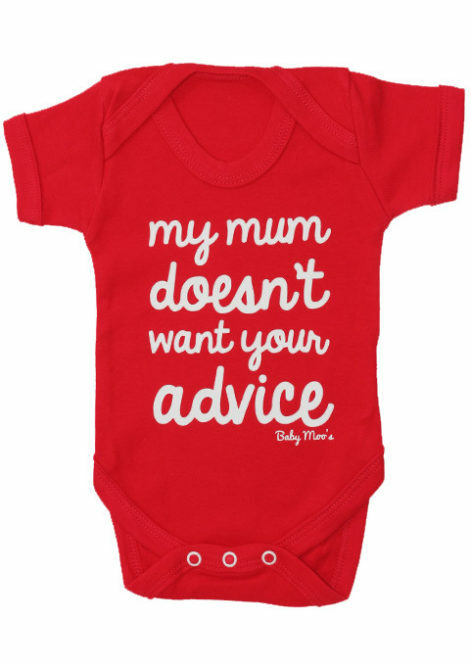 Let your baby do the talking with this fantastic My Mum doesn’t want your advice funny baby grow! Awesome vibrant red baby grow. Softest vibrant red cotton to keep baby comfortable & happy. Envelope neckline and a three-popper crotch to make changing time child’s play! The funky cheeky white print across the front of this baby bodysuit guarantees to draw attention to your and trendy tot, making this funky baby grow the perfect fun new baby gift for baby, mum & dad. Why not take a walk all along the watchtower with your kids rockin’ this military baby top? 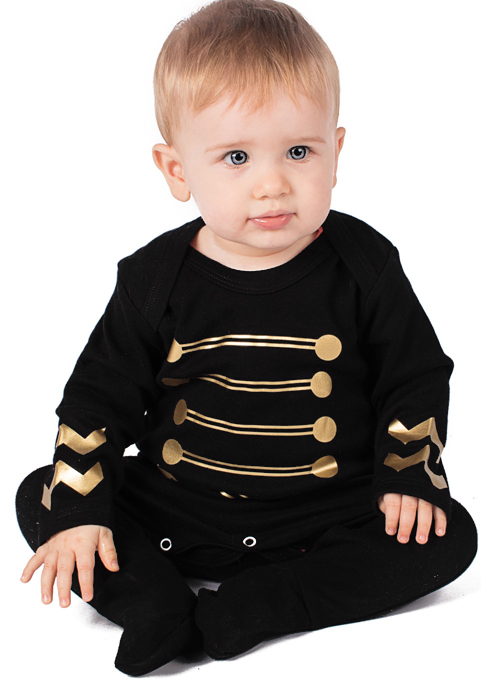 Military buttons style gold print to chest & arms inspired by a rock legends iconic military jacket. 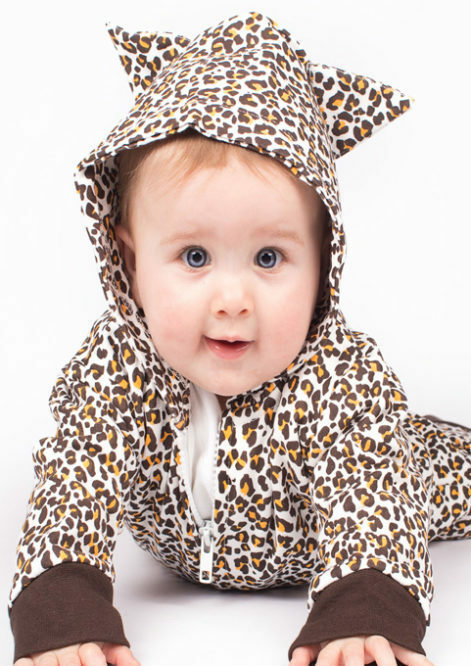 Dress your funky baby feline in this leopard baby onesie for a purr-fectly cosy cuddle. Funky footless leopard baby onesie. Supe soft premium cotton with brushed back (That means the inside is super soft against babies skin). 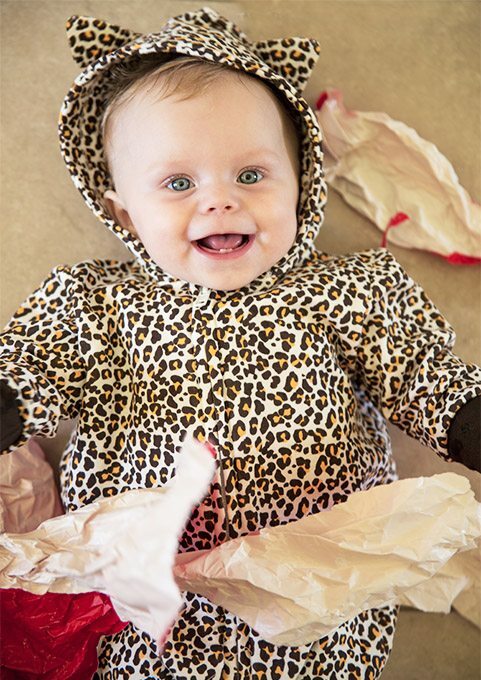 Hood with cute novelty leopard ears which are bound to raise a few smiles. Sturdy poppers to inner legs & zip to front. Sizes 0-3 months, 3-6 months, 6-12 months & 1-2 years. 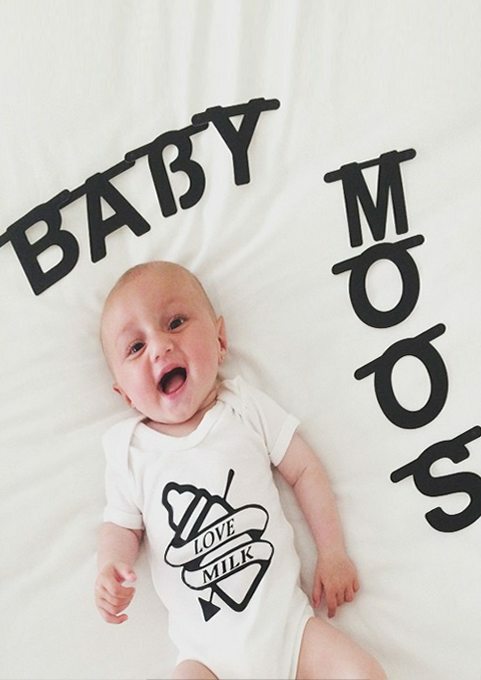 The other outfits can mooo-ve over as this baby cow onesie is going to cause EXTREME amounts of cuteness! Hood with cute novelty ears & adorable little horns. Embroidered sleepy eyes & applique nose to onesie hood, which is bound to raise a few smiles. Can’t find any girls dinosaur clothes? Uh-huh, Good job we’ve gotcha back! Dinosaurs aren’t just for boys, let her show you how SHE roar’s around in this girls fantastic dino dress for babies & toddlers. You’ll find it easy to dress your baby girl dinosaur in this super dress which just pops over the head. The soft loop back cotton will keep her comfortable & content all day. Super duper cool fully lined hood. Awesome black dino spikes over the top & a cute little bow. Easy to dress up for cooler spring days or by itself this summer. 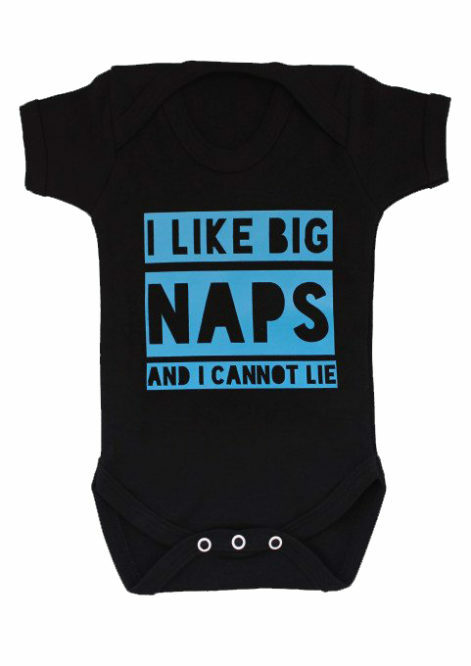 Let’s face it, We love to have big naps as much as you’ll love this fun baby grow! 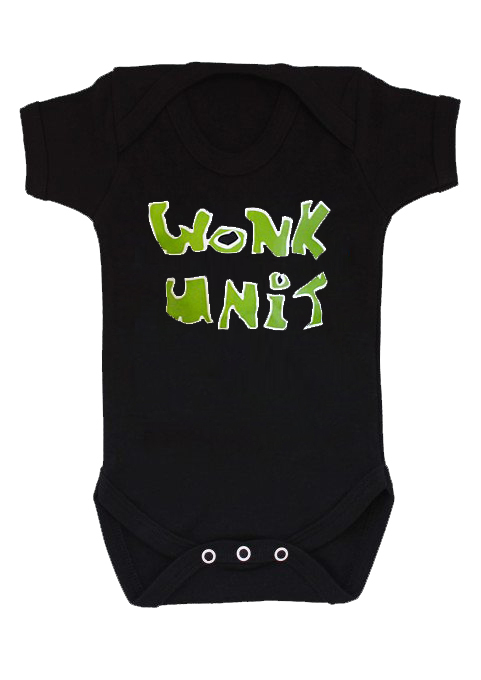 Incredibly soft cotton black fun baby grow. Envelope neckline and a three-popper crotch to make changing time easy & quick! Made in the UK ensuring the only the best quality. The funky blue print across the baby grow guarantees to raise a smile & stays bright wash after wash. 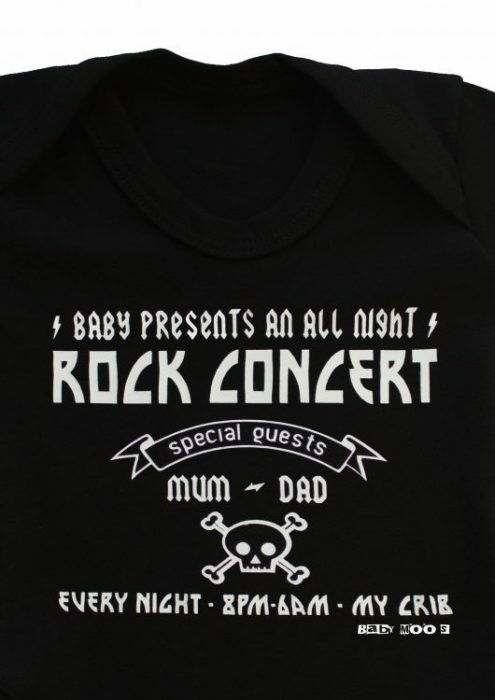 This funny baby vest makes the perfect baby gift for baby, mum & dad! 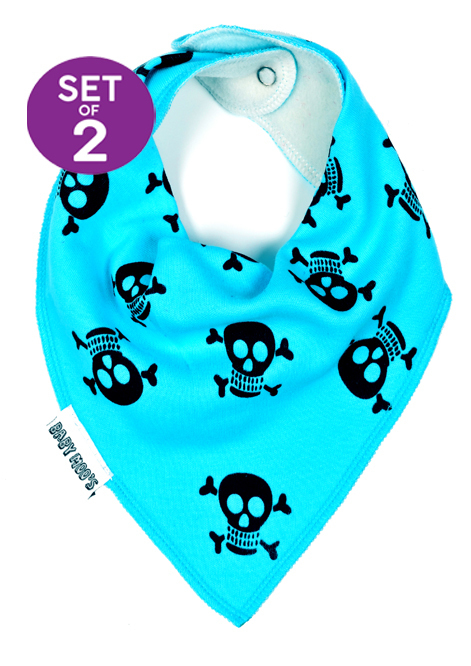 These trendy bandana bibs will match your baby’s dazzling personality, and save you a ton of laundry, It’s a win-win! Award winning scrumptious purple trendy bandana dribble bibs. Berry purple cotton with cute star print that’ll absorb baby’s dribble & keep your laundry pile tamed! Soft fleece backing to keep your baby’s clothes dry. 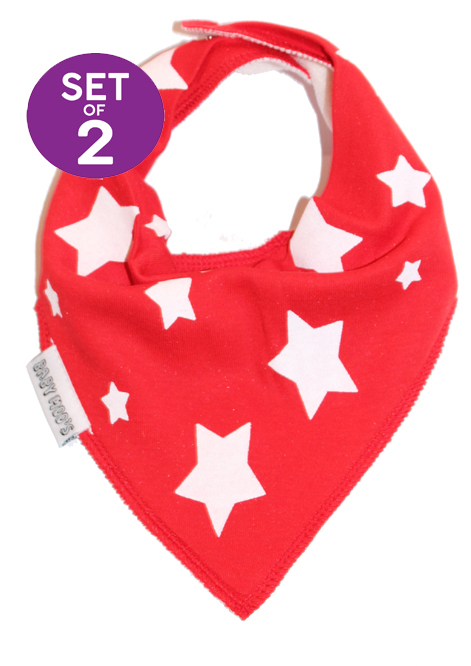 Double popper fastenings to bandana bib which allows 3 size settings, meaning it’ll grow with baby & save your bank balance. Ideal for a funky little baby shower gift for boys or girls. Who you gonna call? Ghost Baby! – I ain’t afraid of no ghost! Although this outfit makes a superb baby Halloween costume it doesn’t need to be Halloween to show your little one is ghoulishly cute! Soft white cotton baby bundler gown. Black cute ghost face printed to front of baby outfit. Perfect for a baby Halloween costume for boys & girls. 0-3 months or new 3-6 months size! 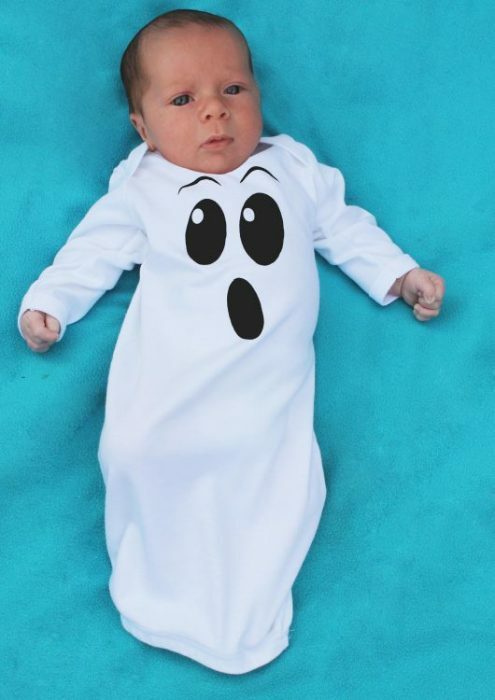 FREE UK P&P on this baby ghost outfit, International delivery also available! As featured by Huffington Post. Now we know the problem all to well, you have a seriously cool baby, huh? But passers by just don’t know it? 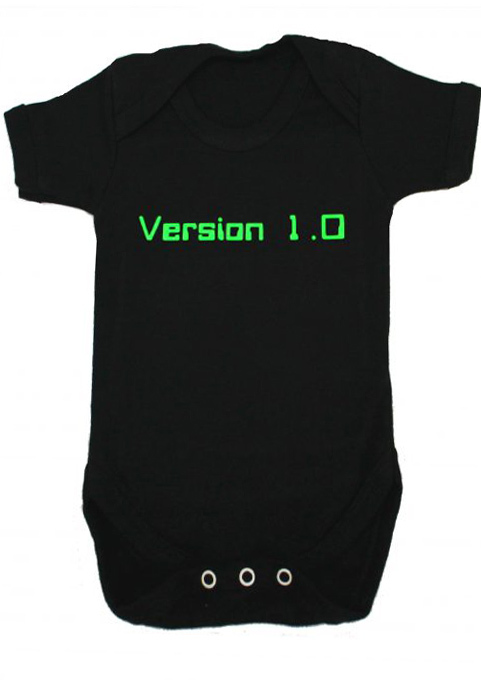 Ta-da, slip this modern baby grow over that cool kid & they will know….. No need to thank us. 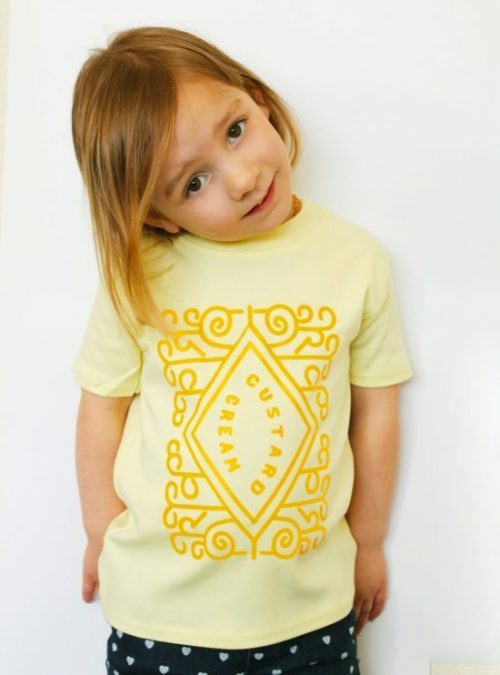 Long lasting soft print, stays bright wash after wash.
Soft cotton to keep baby happy. Snaps to crotch to make nappy changes of baby easier. Makes a great baby gift for the trendy tot! Grab one now & get FREE UK P&P, international delivery available too. How else is your funky baby expected to put their best foot forward? Made to look like funky little trainers, they’ll make those tiny toes look even cooler! Choose which cool colour socks you want from bright red, funky blue, casual grey or neutral beige, or even better have them all! Spend over £10 & we’ll even gift package your items FREE! Awesome vibrant red cotton sleepsuit, sure to keep baby comfy all day & night. Irresistibly soft bright & funky red cotton. Envelope neckline and poppers to legs to make changing time quick & easy! 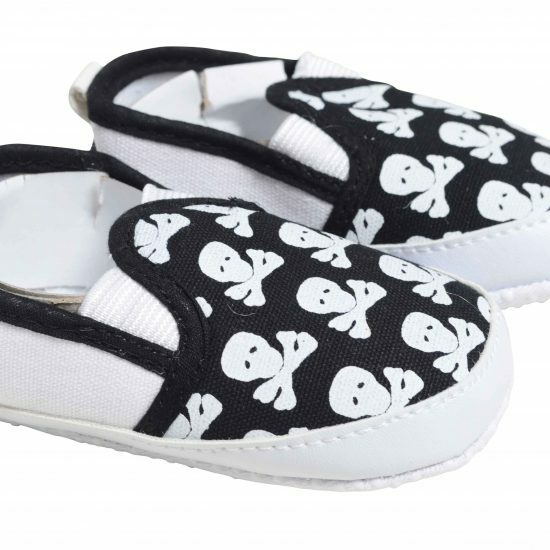 The funky white print across the front guarantees to draw attention to your trendy tot. 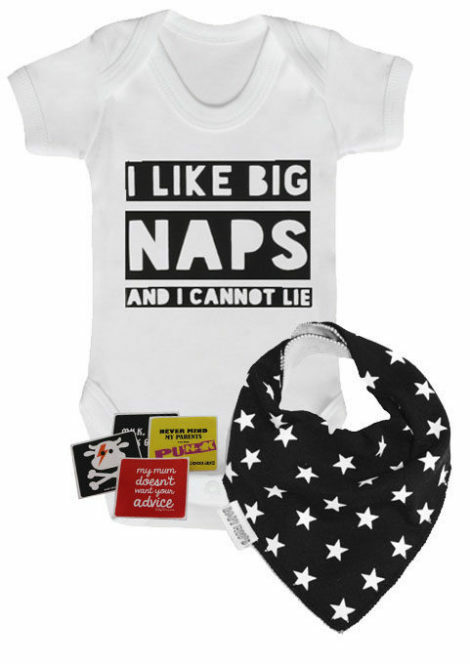 This funny baby outfit makes an ideal cheeky baby shower gift. In this novelty 11 baby grow baby will be the star of the show, crank the music right up to 11 in this funny volume 11 baby vest! Soft black cotton volume 11 baby grow. Easy to wash & soft to wear, keeping baby & parents happy. 3 snaps to crotch & envelope neckline for easy dressing of possibly the loudest baby ever! Vibrant shimmering silver print to baby grow styled as a volume dial. A Baby Moo’s design baby vest & made in UK ensuring supreme quality. Sizes 0-3 months, 3-6 months or 6-12 months. 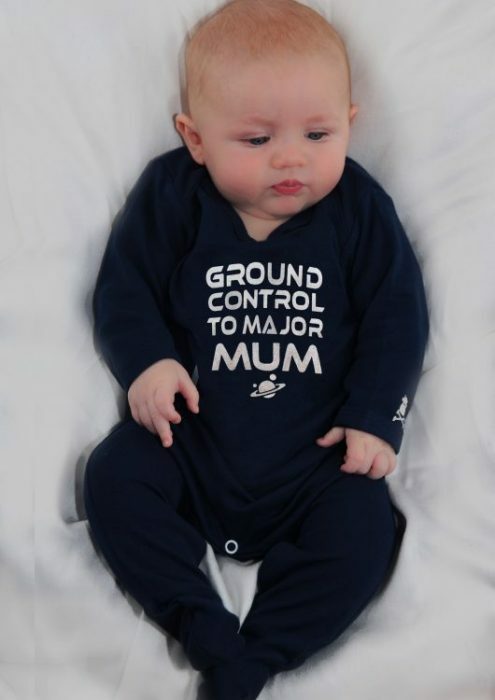 In this Bowie baby sleepsuit your baby will be the hero for more than one day. Irresistibly soft cotton navy baby sleepsuit. Poppers to inner legs & envelope neck for easy dressing of the baby space hero. The Space Oddity inspired silver print is guaranteed to say vibrant. 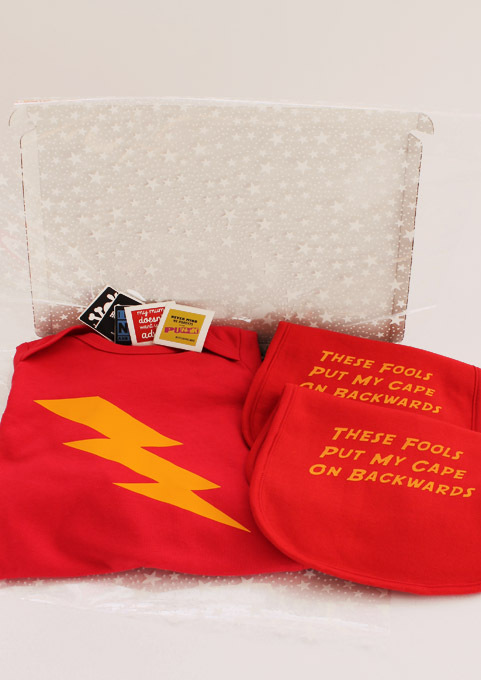 Superhero baby gift box for the newest superheroes! This unique baby shower gift box will ensure the gift you are giving will save the baby shower from bore with ease! 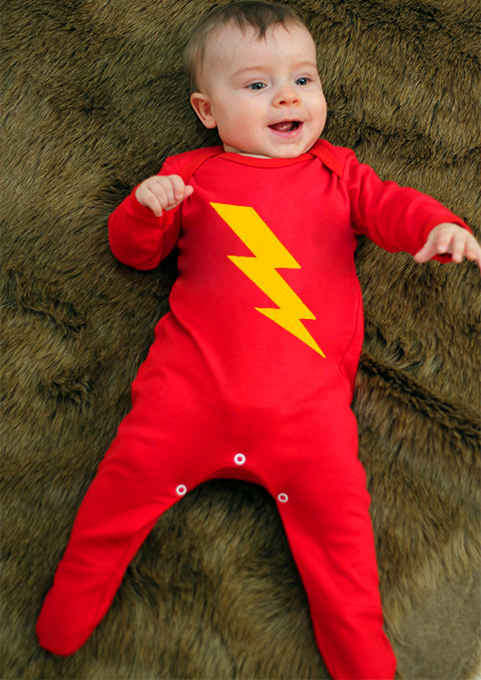 1 x flash superhero baby sleepsuit in a size you pick! 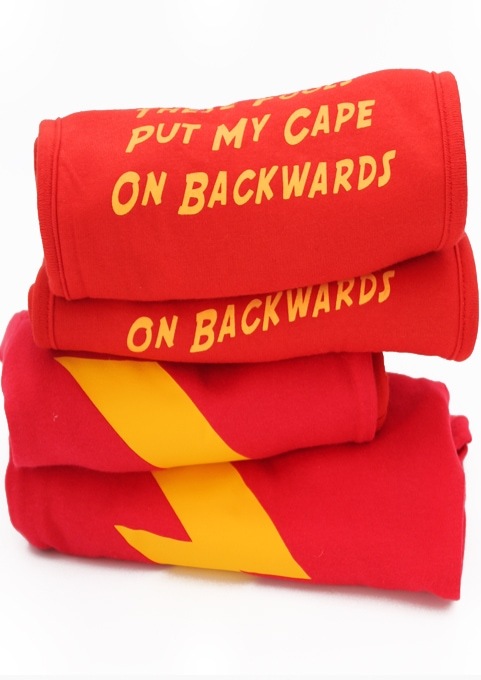 2 x funny ‘These fools put my cape on backwards bibs. Gift set will be beautifully gift wrapped in silver star print cellophane with stunning ribbon. FREE UK delivery or choose international delivery. 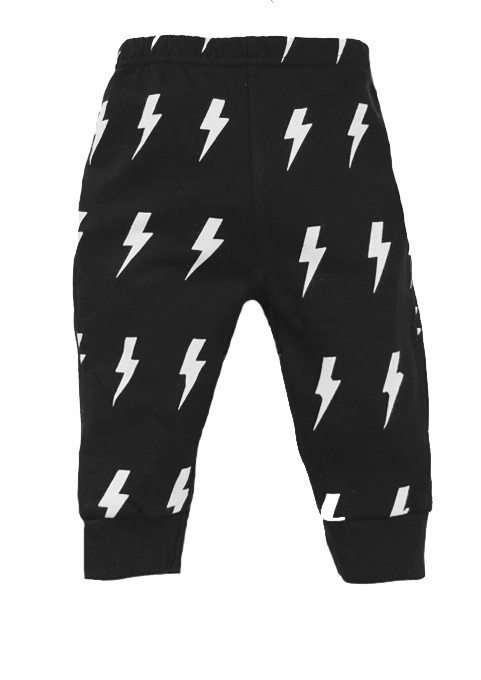 Superhero flash sleepsuit is made in England in a beautifully soft quality cotton with funky superhero inspired lightning bolt print to front in vibrant print that is guaranteed not to fade. Tattoo baby gift box, it might be too early for some real ink but it’s never to early to be totally cool! This alternative baby shower gift box will ensure your gift will instantly be the coolest at the baby shower! 1 x cool LOVE MILK tattoo sleepsuit in a size you choose. 1 x pair of LOVE HUGS tattoo scratch mittens. Baby gift box will be hand gift wrapped in stunning silver star print cellophane with ribbon detail. FREE UK delivery or choose worldwide delivery. White tattoo sleepsuit is made in England in a incredibly soft top quality cotton with trendy tattoo inspired fade proof print to front. 1 pair of our epic tattoo scratch mittens with LOVE HUGS print across knuckles in a old style tattoo font. 1 of our award winning dribble bibs in trendy black & white star print with absorbent cotton front to absorb dribble & stay dry fleece under. Totally unisex making a great boys or baby girls gift! Our quirky skull baby girls gift set means no need to lose your head over trying to find a unique baby shower gift this trendy baby girls gift set will ensure you’ll easily be giving the coolest new baby gift, easy peasy! 1 x pink trendy skull & bow girls dress. 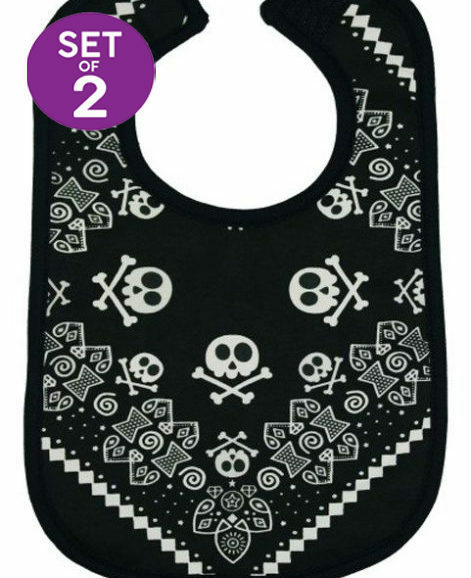 1 x fabulous skull & crossbones purple dribble bib. 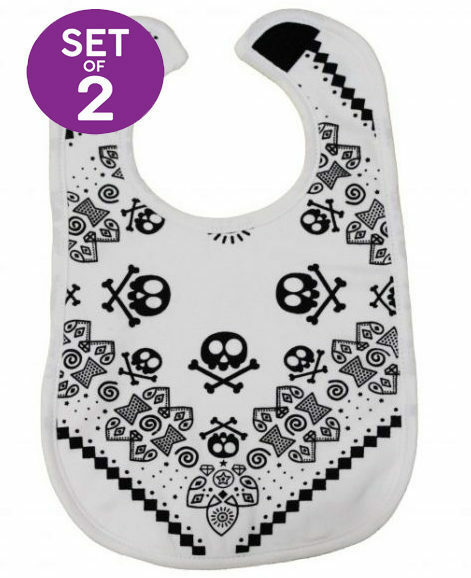 1 x fashionable skull & crossbones pink dribble bib. Our quirky baby gift set is carefully bundled together in a beautiful organza gift bag. 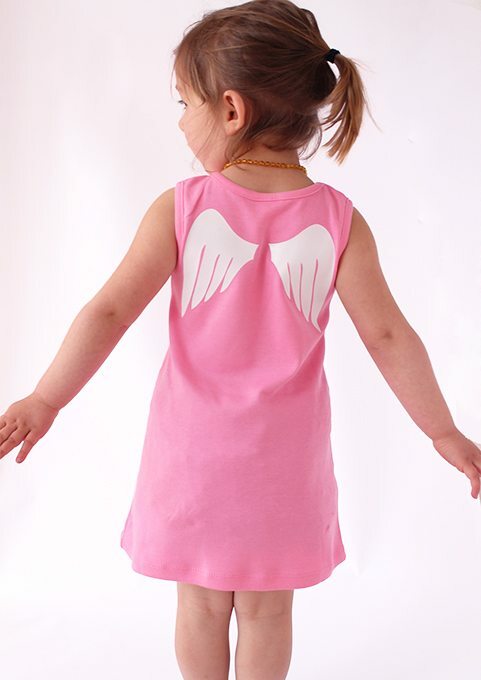 Pink girls dress is made in easy care high quality cotton with fade proof skull print to front & gorgeous ribbon bow. 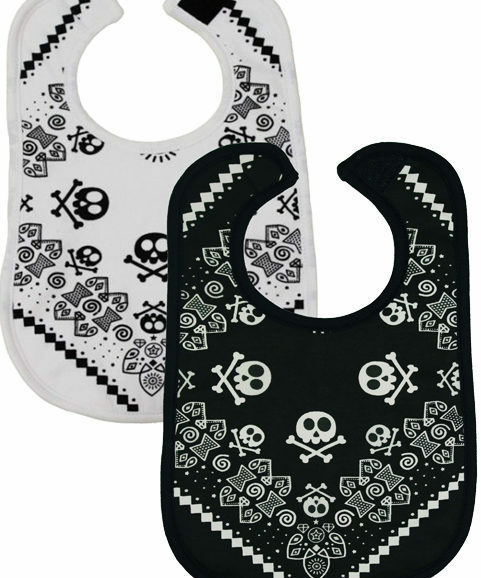 1 of our epic award winning skull & crossbones print pink dribble baby bibs, absorbent cotton front to absorb dribble & stay dry fleece under. 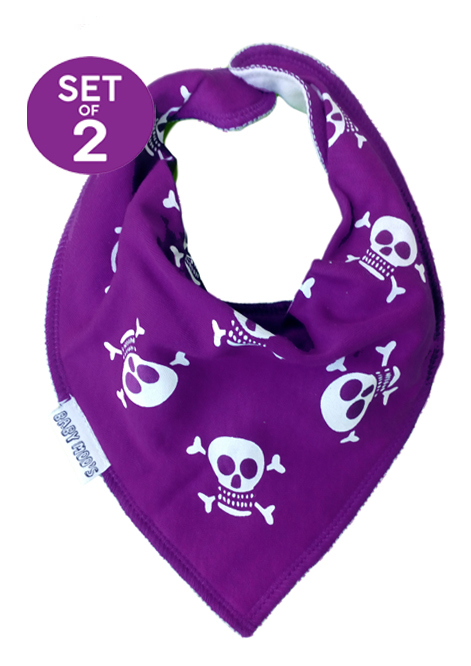 1 of our fantastic award winning dribble bibs in trendy purple with white skull & crossbones, absorbent cotton front to absorb dribble & stay dry fleece back. Hip hop baby gift box, they’ll love this baby gift box because its sicker than your average baby gift! 1 x Hip hop STRAIGHT OUTTA MUM’S TUM baby grow in a size of your choice. 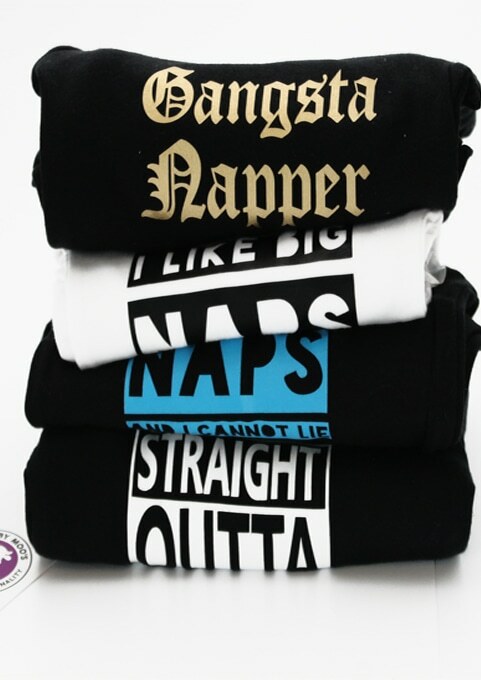 1 x Awesome rap notorious KID baby grow in a size of your choice. 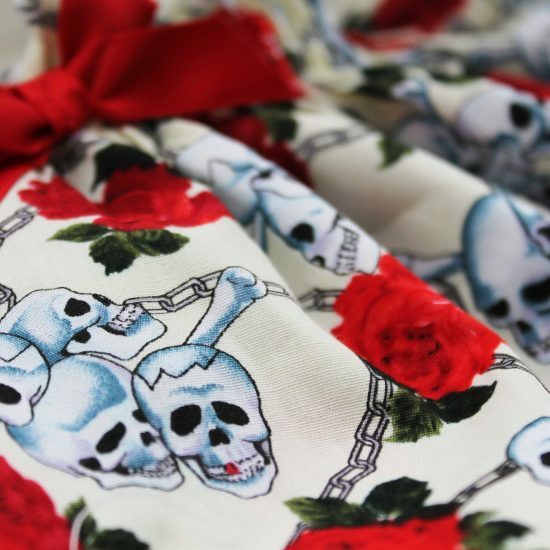 1 x bandana skull bib, akin to what Tupac adorned on his head. This baby gift box is superbly gift wrapped by in trendy star print cellophane with awesome ribbon detail. UK delivery or international delivery available. Both hip hop baby grows are made in England in amazingly soft cottons that stay looking epic wash after wash with fade proof prints. 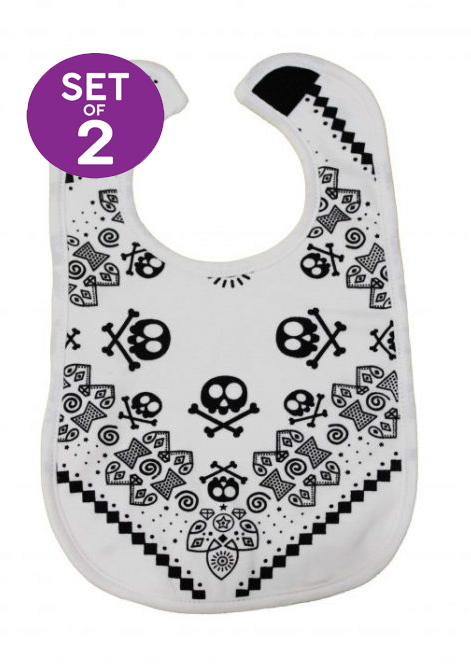 1 of our epic award winning monochrome skull print baby bibs, absorbent cotton front to absorb dribble & stay dry fleece under. I’m Nappin’ Reggae Baby Sleepsuit. Looking for reggae baby clothes? 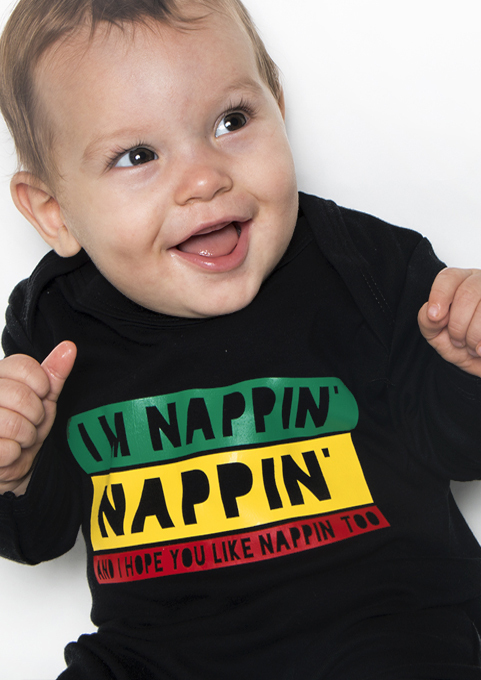 In this Bob Marley inspired reggae baby sleepsuit every little thing is gonna be alright! This sleepsuit boasts traditional rasta colours with it’s fun slogan it’ll make a great addition to any reggae baby clothes collection. Irresistibly soft cotton black baby sleepsuit. Easy to wash & super soft to wear for baby boys & girls. Poppers to inner legs & envelope neck for easy dressing of the baby Marley. Slogan reads ‘I’m nappin’, nappin’, and I hope you like nappin’ too. Makes an awesome rasta or reggae baby outfit gift idea. See our kids reggae clothes. Unique Christmas baby gift set, with this festive baby gift box you’ll be making special memories to last every Christmas to come. 1 x adorable Snowman baby sleepsuit in a size of your choice. 1 x Awesome skull fair isle sleepsuit in a size of your choice. This baby gift box is gorgeously gift wrapped by hand in festive star print cellophane with awesome ribbon detail. Both sleepsuits are made in the UK in amazingly soft cottons that stay looking great wash after wash with fade proof prints. Our cool girls baby grow with awesome cow & crossbones print is guaranteed to instantly brighten any little fashionista’s clothing collection. Cow & crossbones cool baby grow in vibrant pink. Vibrant white print that stays looking new for longer. Envelope neckline for a fuss free change time. Snaps to crotch to make nappy changes fuss free. Nickle free poppers prevent irritation. Short sleeves to this baby vest make it perfect for layering up for a trendy look. 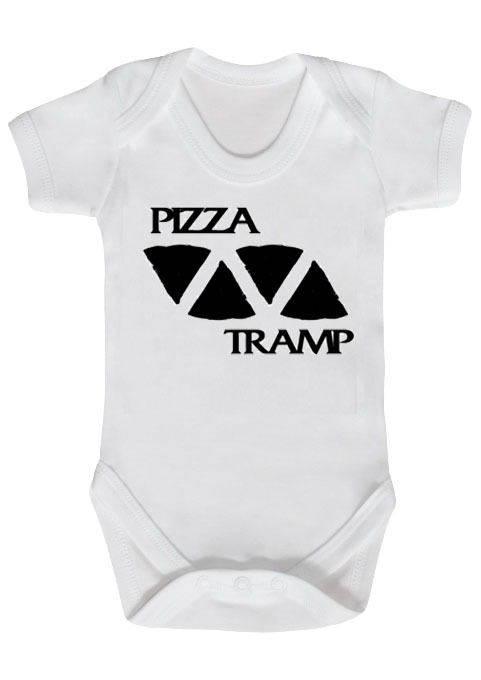 Pizza Tramp kids t-shirts for that horrible three piece thrash punk band from Wales who specialise in loud punk noise a little like your little one at 2am no doubt, play it fast. 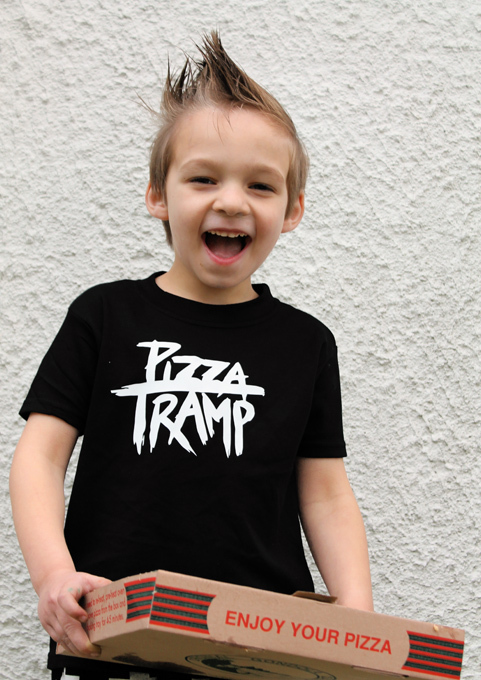 Official Pizza Tramp Kids T-shirt. 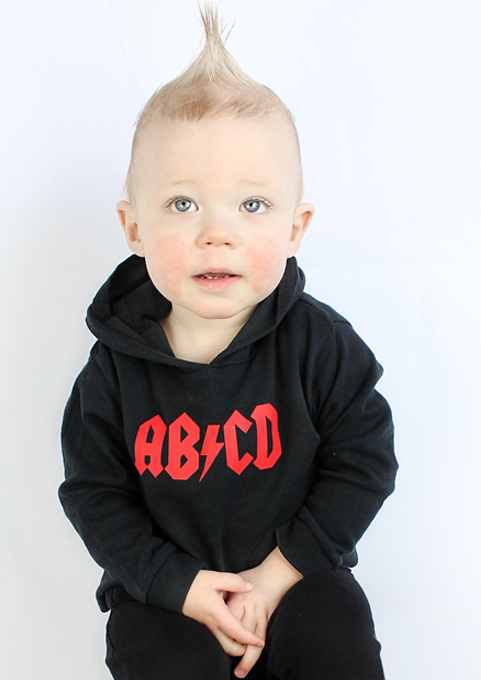 Epic quality black cotton to keep your smallest punk as comfy as they are cool. Features the band Pizza Tramp’s logo in vibrant white. 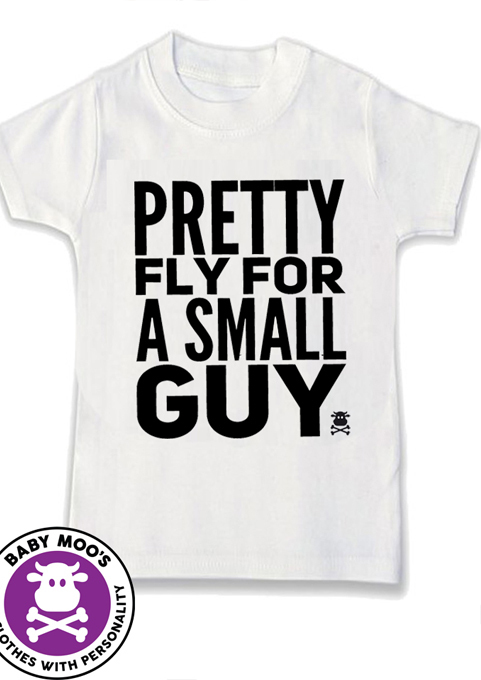 And all the parents say… he’s pretty fly for a small guy, give this cool baby shower gift set & you’ll have the entire baby shower singing after, uno, dos, tres, cuatro, cinco, cinco, seis…. 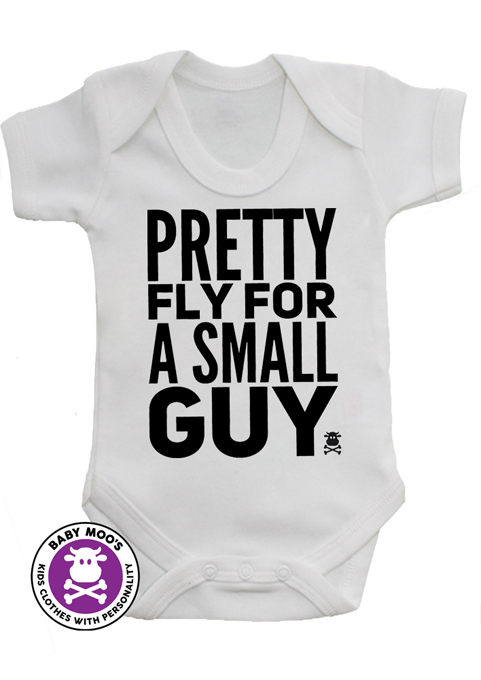 1 x Pretty fly for a small guy baby grow any size you choose. This cool baby boys outfit set comes packaged together in a incredible organza gift bag ready to give. The twinkle black & white dribble bib is a firm favourite with customers, award winning & made with a luxuriously soft cotton front, nickle free poppers & stay dry back. 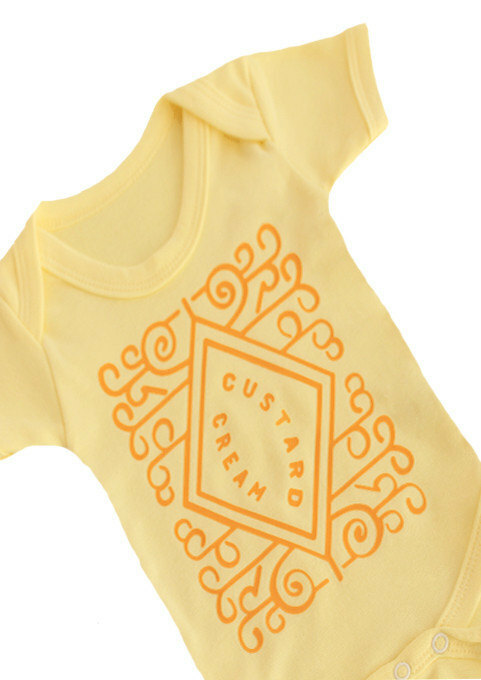 1 x Custard cream baby grow in any size you choose. 1 x Nice biscuit baby grow in any size you choose. This cute unisex baby gift set set comes packaged together in a gorgeous organza gift bag ready to give. FREE UK delivery or choose from international delivery options. Our scrumptious biscuit baby grows are made in a beautifully soft quality pale yellow cotton with quirky biscuit prints to the fronts in a ever bright print that stays vibrant wash after wash, they boast envelope necklines & poppers to crotch to make changing the tea-time tot quick & easy. Short sleeved DJ baby grow. Incredibly soft premium quality white cotton keeps baby comfy & happy. Envelope neckline and a three-popper crotch to make changing time over in an instant. 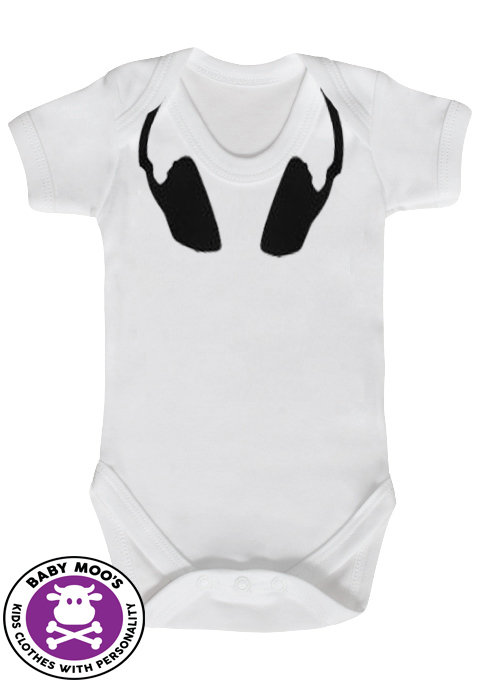 Our DJ baby vests are made in the UK ensuring top quality. Professional DJ headphone print to neckline stays looking new for longer. Love the design but need a bigger size? Yey! we do a DJ hoodie & dress version too! 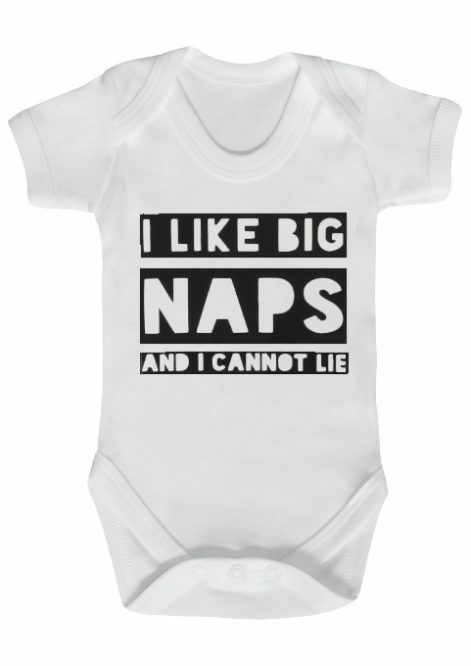 In this amusing & cheeky unisex baby grow your baby will say what you might not. Short sleeved cheeky unisex monochrome baby grow. Luxuriously soft white cotton to keep baby happy & cosy. Envelope neckline makes it effortless to dress your baby. Three-popper crotch to make nappy changing almost instant. The slogan across the front guarantees to draw attention to your cool and trendy tot, making this cheeky baby grow the perfect gift for baby. Our hip hop mega cool baby gift box will guarantee you give the best baby shower present by far, the parents will no doubt be waxing lyrical about how awesome it is. 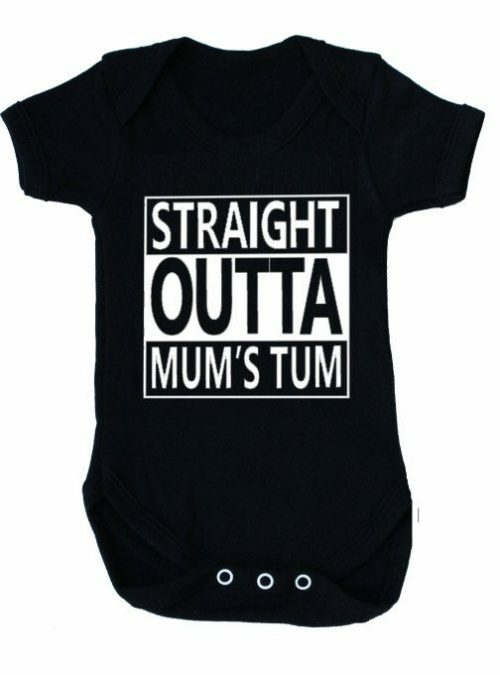 1 x STRAIGHT OUTTA MUM’S TUM baby grow in a size of your choice. 1 x Notorious BIG inspired rap the notorious KID baby grow in a size of your choice. 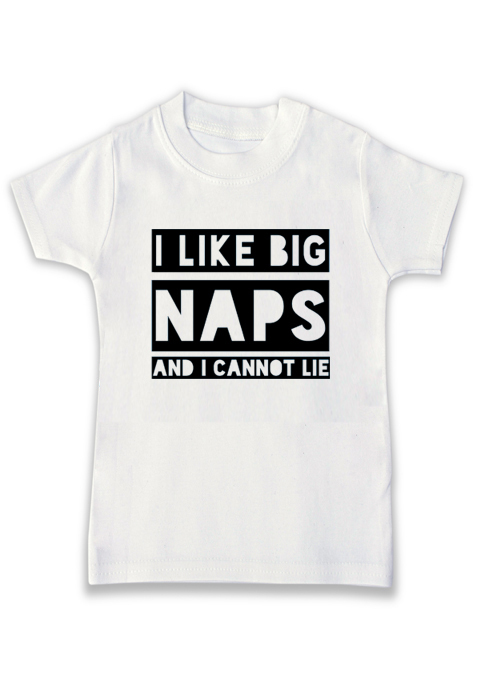 1 x Customer favourite I LIKE BIG NAPS AND I CANNOT LIE baby grow in any size. This cool baby gift box is gorgeously gift wrapped by in trendy star print cellophane with awesome purple ribbon detail. All 4 of our hip hop baby grows are made in England in amazingly soft cottons that stay looking epic wash after wash with fade proof prints that stay looking good wash after wash. This trendy girls dress will instantly add a little bit of Ziggy Stardust flavoured fun into your Bowie baby’s clothing collection. Keep her cool & comfy in this fantastic little trendy dress. 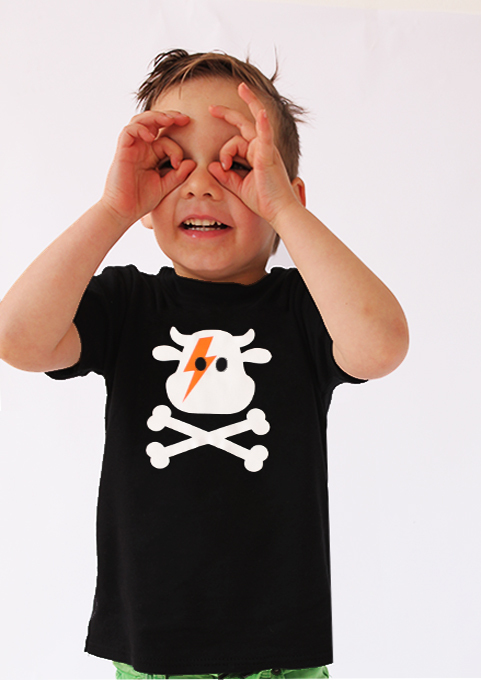 Cool & quirky Ziggy Stardust inspired little lightning bolt to front. Vibrant print stays looking new for longer. Soft purple cotton keeps your cute kid comfortable. The easy fit A line girls dress design means it can be worn as a tunic when she grows. 2 cute little pockets to front. FREE gift wrap as standard on all orders of £10+. Sizes 0-6 months, 6-12 months, 1-2 years, 2-3 years.